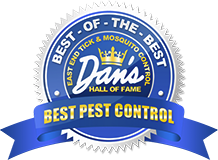 East End Tick and Mosquito Control® is the first and only New York State licensed and dedicated tick and mosquito control specialists, with over 20 years of extensive knowledge, servicing Long Island’s East End – from Moriches to Montauk, Wading River to Orient Point, and Shelter Island. Family owned and operated, the company specializes in traditional and organic control methods, offering alternatives to harsh pesticides, and is committed to the most environmentally responsible and effective programs. We are fully insured and licensed by the Department of Environmental Conservation. 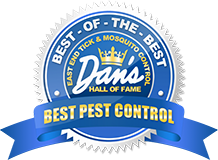 Driven by the philosophy that prevention is better than a cure, East End Tick and Mosquito Control® is committed to protecting the well being of residents while keeping the East End clean and pristine. 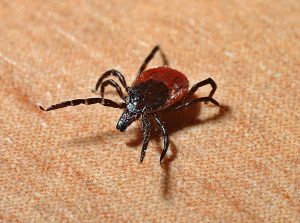 Ticks on Long Island such as the Deer Tick and the Lone Star Tick carry dangerous diseases such as Lyme Disease and Rocky Mountain Spotted Fever. Lyme Disease, in particular, can be dangerous and debilitating to people that get it, and if left untreated may persist for the entire life of the person who was bitten. The best way to avoid you or a loved one picking up one of these dangerous diseases is to have East End Tick and Mosquito Control® go through your property and treat the area for ticks. East End Tick and Mosquito Control®’s tick treatment program has been developed through comprehensive product testing. 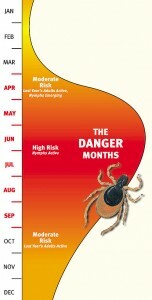 Applications last up to four weeks and a full-season program completely eliminates all ticks in treated areas. Services feature both monthly spray applications and non-spray applications. Like ticks, mosquitoes on Long Island are also candidates for transmitting dangerous diseases. Species of mosquitoes on Long Island include the house mosquito and yellow fever mosquito which are common and feed at night like most mosquitoes. 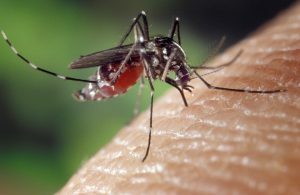 Recently, however, the Asian Tiger Mosquito has appeared on Long Island. This mosquito feeds during the daytime as well as the night time. Mosquitoes of all species can transmit dangerous diseases such as West Nile Virus, and more recently the Zika Virus. Mosquitoes breed through standing water and do not need much. Merely a puddle is enough for a mosquito to lay up to 400 eggs into. Your property can also be treated for mosquito protection as well to prevent you and your family from painful mosquito bites and the diseases they carry. After testing each and every product designated for mosquito control, East End Tick and Mosquito Control® focuses on an organic approach to mosquito control. This spray application keeps mosquitoes away anywhere from a few days to an entire month. After testing each and every product designated for mosquito control, East End Tick and Mosquito Control® focuses on an organic approach to mosquito control. After a spray application, mosquitoes away anywhere from a few days to an entire month. If you are having a party outdoors on your property, mosquito spraying is a good precautionary measure to take against these pests to ensure your guests are safe and comfortable. East End Tick and Mosquito Control® operates 9 a.m. to 5 p.m., Monday to Friday, from April through November.